In a segment where most rivals are above $100k, the 2011 Nissan 370Z Coupe should be placed in a class of its own. It might not have space for a family or two sets of golf clubs, but that’s not what the Z is about. What we have right here is a successful successor to the Nissan 350Z. 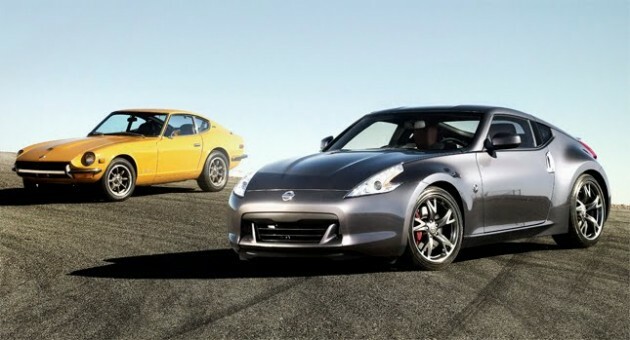 It is as if Nissan fired its Z engineers and hired fitness instructors/personal trainers for this ‘second-generation’ 370Z; the 2011 Nissan 370Z Coupe is lighter, tighter, faster, and safer than the 350Z. 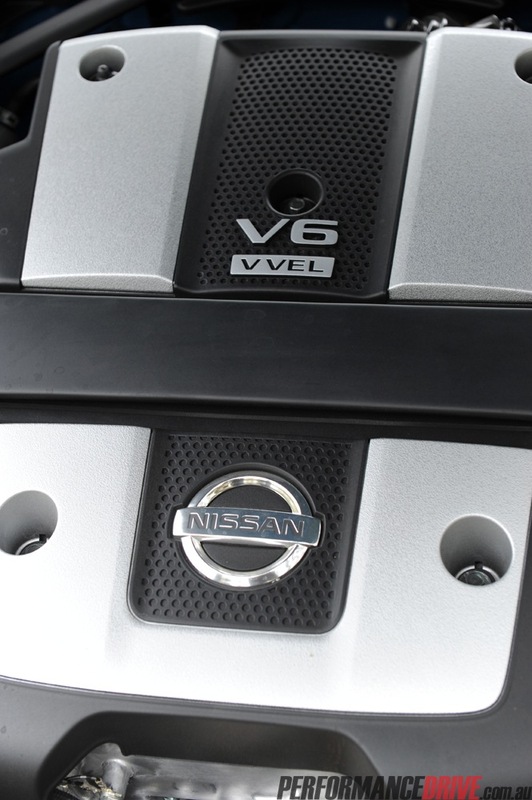 It’s also better on fuel whilst unleashing more power from its larger 3.7-litre V6 VQ37VHR engine – Nissan’s VQ engines have been in the Ward’s 10 Best Engines for 14 years straight. 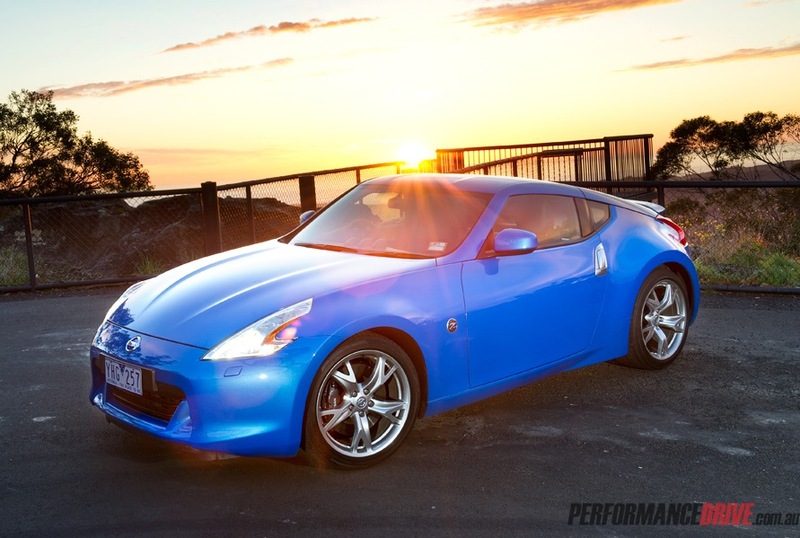 Cars like the 2011 Nissan 370Z Coupe – affordable, rear-wheel drive, front-engine sports coupes – are a dying breed. While most carmakers have either chopped, or diluted their fun-to-drive cars, Nissan has always kept the punters happy with models such as the 200SX, Skyline, 350Z and the incredibly quick Nissan GT-R. And now, one of the company’s latest; the new 2011 Nissan 370Z Coupe. Our 2011 Nissan 370Z Coupe was fitted with the seven-speed automatic transmission with M-Mode (M-mode meaning ‘manual’). 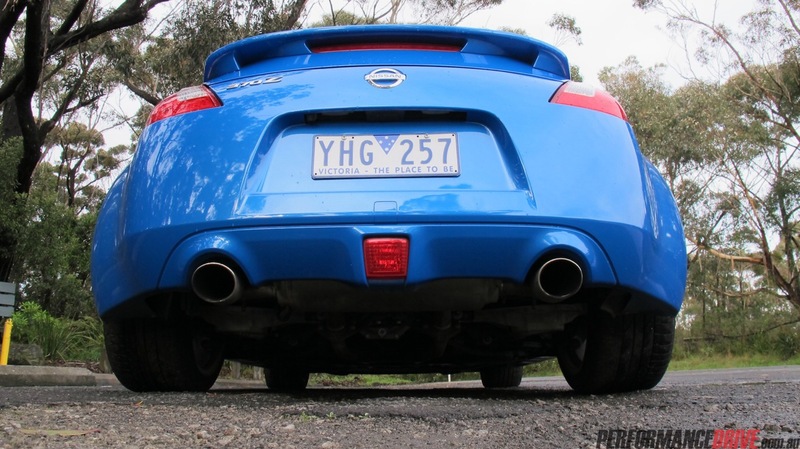 On start up, the 2011 Nissan 370Z Coupe and its chrome exhaust tips spark up a metallic-like growl, and hum away with a sweet six-cylinder tune. Before you select a gear, you’ll notice there’s no 1, 2, 3, or ‘S’ for sport mode; just P (park), R (reverse), N (neutral) and D (drive) – with M-Mode available by pushing the shift lever to the right when in D.
While you’re in D, you can chose to upshift and downshift gears in the 2011 Nissan 370Z Coupe manually by using the magnesium shift paddles mounted on the steering column – once you stop shifting, it’ll slip back into full automatic mode. However, if you put the shift lever into M-Mode, the 2011 Nissan 370Z Coupe will stay in each gear until the 7000rpm redline thanks to the high level of torque converter lock-up available. If you’re out for a sporty Sunday drive and keen to use the manual shifting mode, we recommend upshifting around 500-1000rpm before redline; if you leave it any longer the gearbox seems to hesitate slightly and just doesn’t seem completely comfortable. If you make the upshift right in that sweet spot, changes are very quick, and very sudden – for a clutchless automatic anyway. 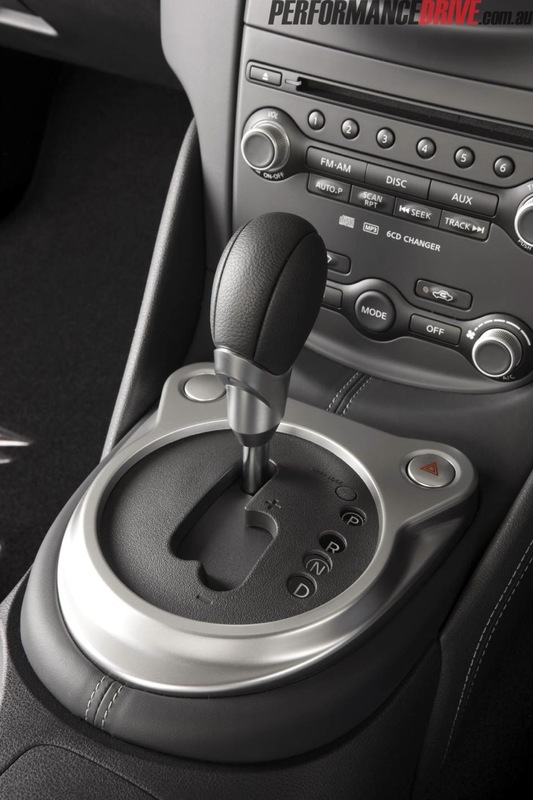 The automatic transmission in the 2011 Nissan 370Z Coupe can be used as a conventional automatic as well, so don’t think it’s one of those super-focused flappy paddle ‘boxes. 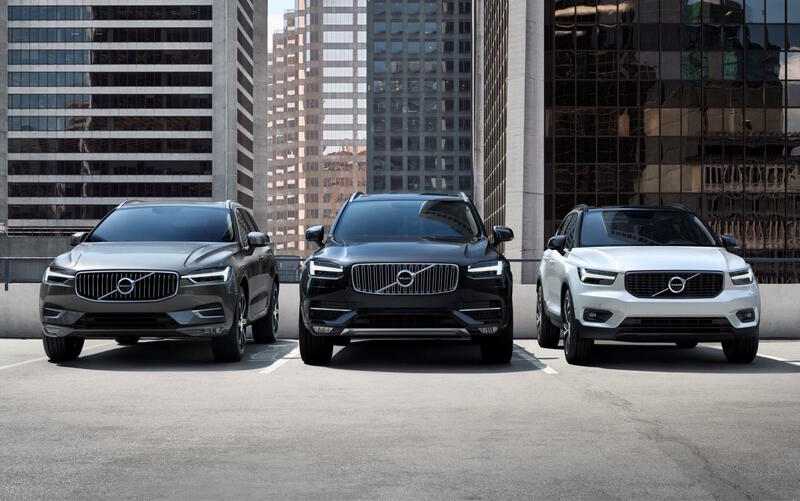 In normal ‘D’ mode, around town it’ll upshift to help you conserve fuel, while still staying on its toes enough to feed you the right gears when you need them. And given the automatic Nissan 370Z has seven ratios, you can expect highway fuel consumption figures as low as 9.8L/100km (as our test car proved). Combined average fuel consumption for the duration of our test hovered around 13.7L/100km. The sequential multi-point electronic fuel injected 245kW 3.7-litre V6 engine in the 2011 Nissan 370Z Coupe puts out a significant punch that only an aspirated engine can deliver. 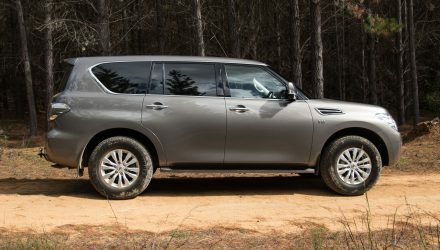 It uses Nissan’s Continuously Variable Valve Timing Control System (CVTCS) with Variable Event and Lift on intake valves (VVEL) to operate as smoothly, and efficiently as possible. 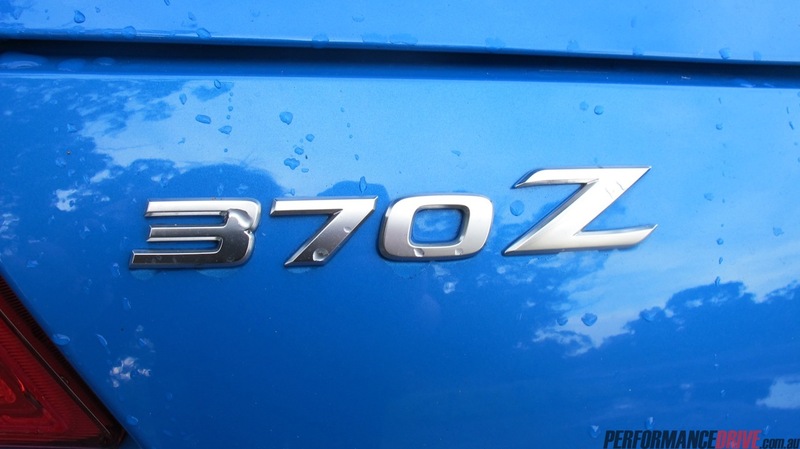 As any Z enthusiast would know, the Z badge doesn’t represent outright power; it’s about having a drivable sports car. And for the money you pay, the power, and the presence, it really makes you think twice before spending another $45k more for the basic Porsche Cayman – with the left over cash you could buy yourself a new dirt bike, a decent boat and maybe even an original Datsun 240Z, just for keeps’ sake. 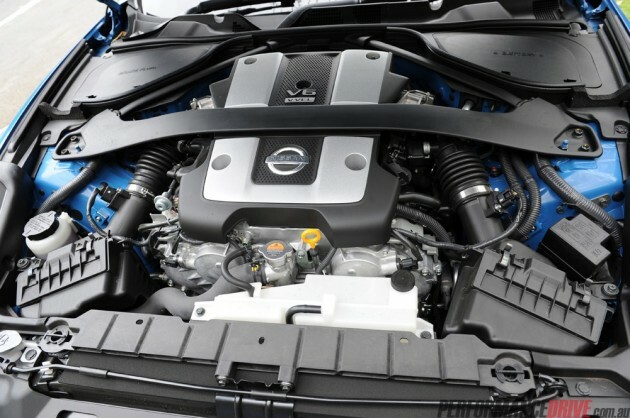 One thing that makes the 2011 Nissan 370Z Coupe an effortless drive is the engine’s ability to rev. Once you fire it up, it feels alive; strong; able to be wound out all day; and never misses a beat. The claimed peak power of 245kW feels about right, too, we have no suspicions there. At times it even feels more powerful than that. And the torque figure of 363Nm doesn’t tell the real story. 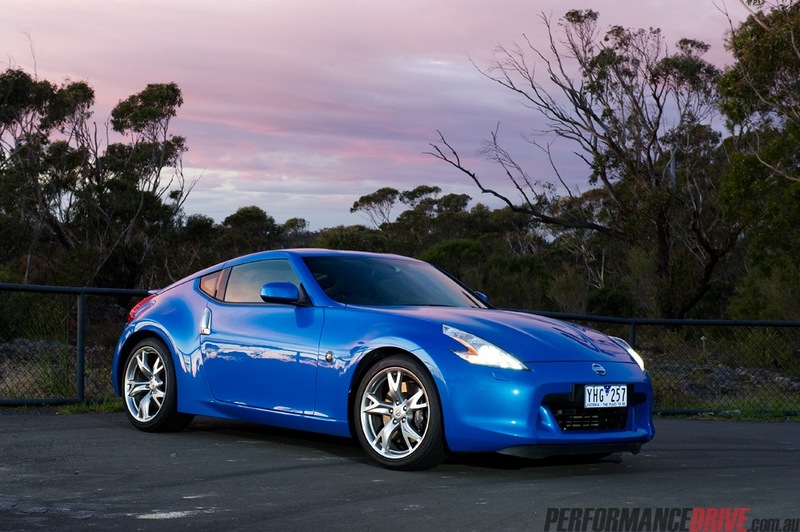 Some cars with 400Nm plus don’t feel as torquey as the 2011 Nissan 370Z Coupe. It has loads of low-down grunt, which builds from around 2000rpm, finding the peak at 5000rpm. Off the line the 2011 Nissan 370Z Coupe uses its huge 275mm-wide rear tyres to grip and launch from 0-100km/h in around five seconds (we managed a time of 5.1 seconds, and we’re sure you’d do around the same, depending on the surface and conditions). Through the bends, the 3.7-litre VQ engine is very user-friendly, especially for speedy acceleration dashes in between corners. Push the go-pedal in just about any situation and the 2011 Nissan 370Z Coupe responds with a swift downshift (or you can instigate the downshifts manually with the paddles) and will build speed in a very smooth linear fashion, climbing to the engine’s sweet spot at around 5500rpm; a great point for upshifting when you’re going from corner to corner as it’s just above the peak torque point of 5000rpm, really putting the next gear in the right spot to keep momentum building. 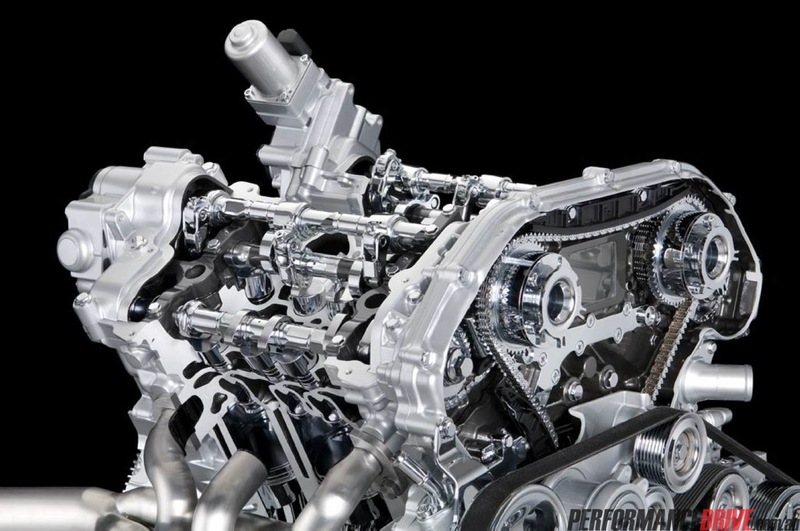 Engine braking from the 2011 Nissan 370Z Coupe’s 3.7-litre V6 engine is nothing other than outstanding, no doubt partially due to the engine’s 11.0:1 compression ratio and well-matched gearing. 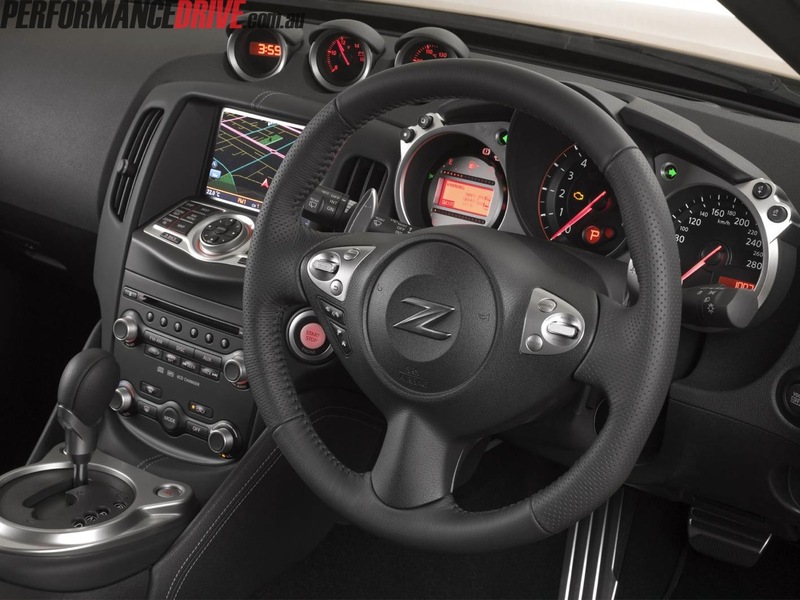 A snazzy racer-like feature of the 2011 Nissan 370Z Coupe is its Downshift Rev Matching (DRM) system – this blips the throttle on downshifts to make gear transition as-smooth-as-possible. The throaty burst of revs at each blip certainly makes the drive feel more exciting. Hidden between those 10-inch-wide rear Rays forged wheels sits a viscous limited-slip differential. The 2011 Nissan 370Z Coupe is also equipped with Vehicle Dynamic Control (VDC), which combines electronically operated traction control and stability systems to reduce engine torque and/or apply individual wheel braking if needed. 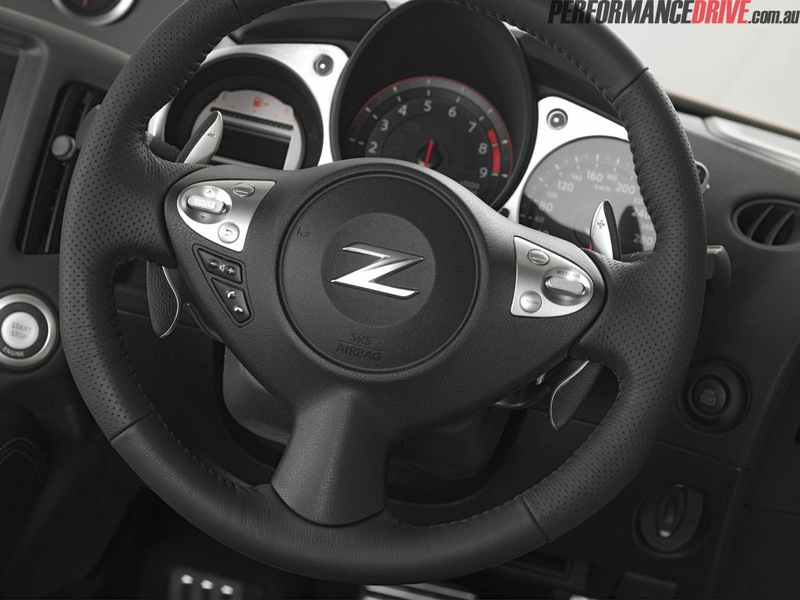 If you’re keen on using your Zed for track days, the VDC can be deactivated by pushing the button located on the right-hand side of the steering wheel. 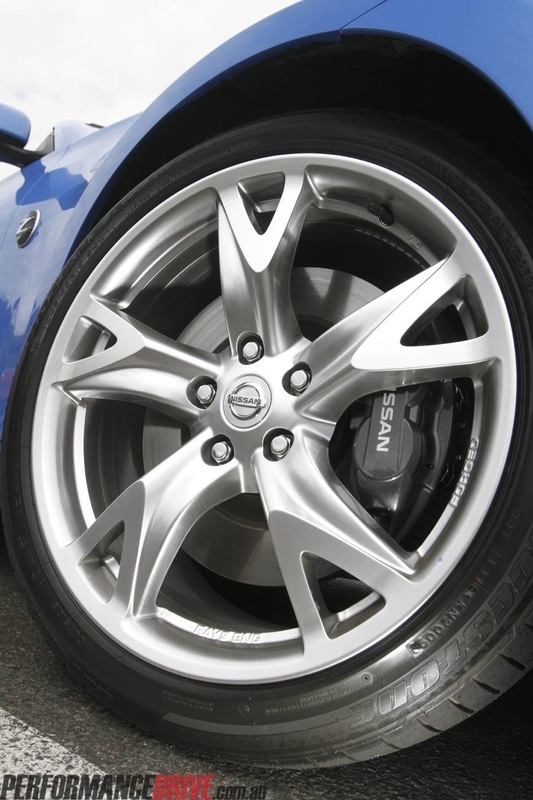 The 2011 Nissan 370Z uses Akebono sport 355mm discs at the front and 350mm discs at the rear, combined with four-piston and twin-piston aluminium calipers, respectively, all donning the Nissan logo. The 2011 Nissan 370Z Coupe comes with all the braking safety acronyms you’d expect on a modern sports car. 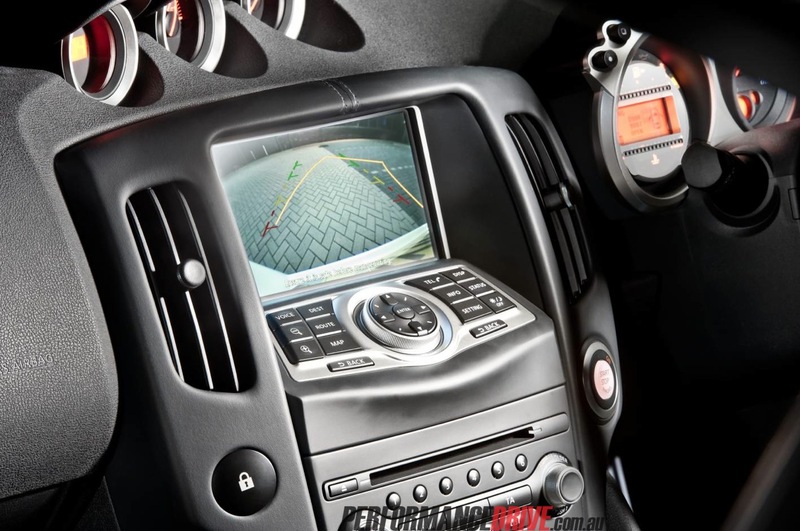 Some of these include the latest generation ABS with Electronic Brakeforce Distribution (EBD) and Brake Assist (BA). Even after a few solid heavy braking maneuvers when testing the 2011 Nissan 370Z Coupe, the brake pedal stayed resistant to brake fade, and always maintained great natural pedal-feel – something a lot of new cars lack. 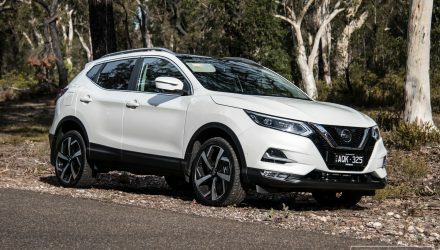 Nissan says part of the car’s great braking ability is thanks to adoptions such as variable ratio brake actuation, which helps precision at low speeds and enhances control at higher G-force. 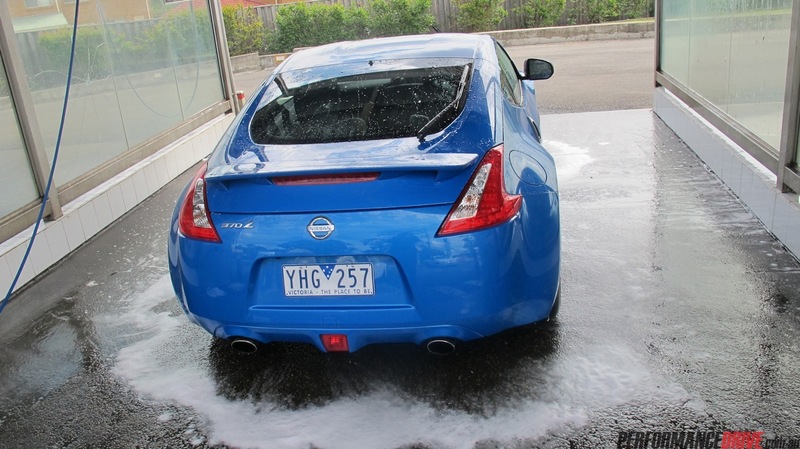 On flat, sweeping corners, the 2011 Nissan 370Z tucks right in and literally corners as if it’s on rails, however, introduce some bumps and undulated surfaces, and the cars tends to bobble a touch, leaking your confidence levels a little. It’s more obvious under braking, but it only really happens when you’re pushing it, so most ‘Sunday punters’ will barely ever notice. 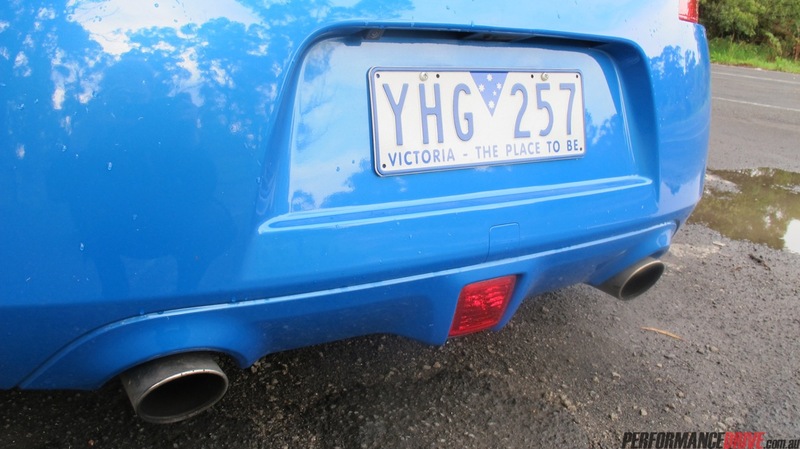 We have no doubts a few tweaks to the rebound and dampening would fix this problem, helping the car to better suit Australian road conditions. The one thing that you will notice about the 370Z is its power-down ability. The grip levels at the rear make it near impossible to induce oversteer out of a corner – it grips up, and slingshots out. We’re not sure if it’s just the factory tyres, but turn in sometimes could have been a tiny bit tighter, but that said, it’s only when pushed extremely hard. If you take a steady in, fast out approach, the 370Z will do just that, leaving a smile on your face wider than hippo’s belly. If there was one feature of the 370Z’s on-road competence we’d have to pick as the clear standout, it’d be the steering. The rack and pinion steering system was revised for the 370Z to provide more communicative feedback. 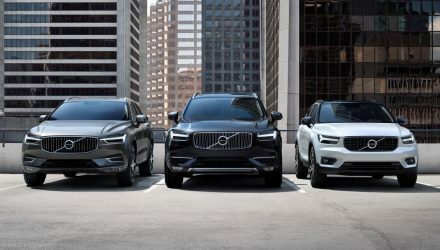 And it is noticeably better, giving great response around the dead ahead position, and with help from the electric speed sensitive assistance, the steering wheel needs little work around town, and keeps the wheels firmly directed on the highway. We’re not sure what other auto writers around the world think, but all we know is for the money you pay, it has some of the best steering feedback this side of $100k. It’s very direct nature means your hands can easily communicate with your eyes, giving you confidence that wherever you look out the windscreen, the long Zed bonnet will follow. If we may get nerdy for a second, the new Zed features revised multi-link rear suspension, and a new double wishbone front suspension layout, which both are lighter and stronger than in the Nissan 350Z predecessor, providing good lateral stability, and improving grip thanks to better camber stiffness, which allows the suspension to exploit the grip of the tyres. 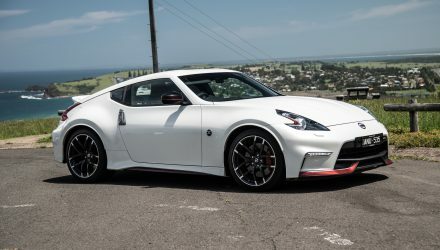 One other notable change to the 370Z over the 350Z is the introduction of new reinforced steering arms, bigger front hub bearings, and a new lighter hollow anti-roll bar that proves to be 35 per cent more effective. All this adds up to a sports car that feels very sure-footed on the road. The 2011 Nissan 370Z Coupe’s length is shorter than the 2003 Nissan 350Z by 65mm. 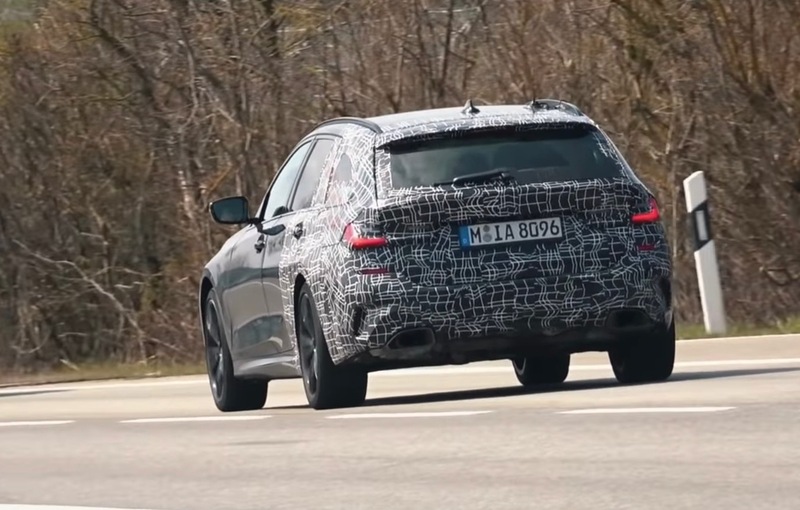 The wheelbase is also shorter than the previous car by 100mm. 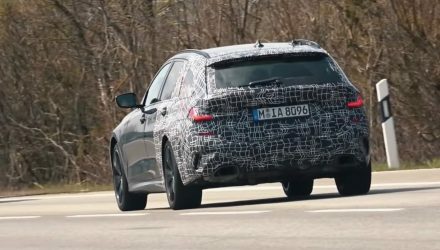 Still, the new car shares exactly the same weight distribution – 53 per cent front, 47 per cent rear. When coming up to a corner, the extra weight over the front wheels from braking provides the 370Z with extra grip for better turn in. Torsional rigidity is stiffened by 30 per cent over the outgoing 350Z, namely thanks to a new front strut brace, and extra structural reinforcements to the 370Z’s shell. The rear strut brace found inside the Nissan 350Z is gone thanks to the 370Z’s stronger framework. 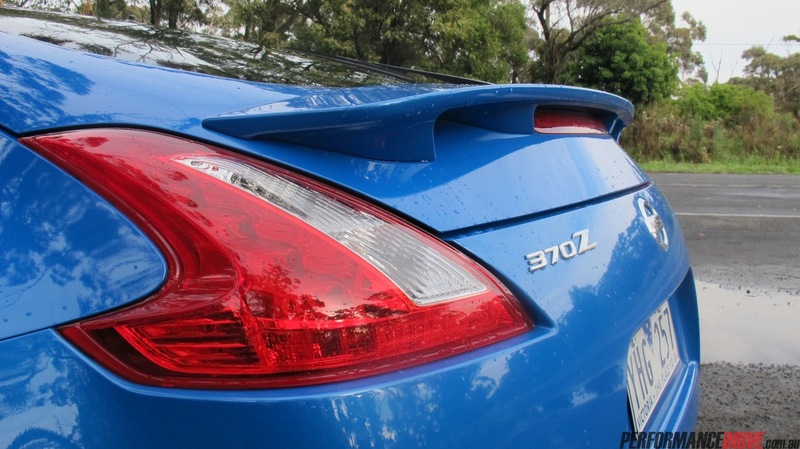 Also, extensive use of aluminium in the doors and bonnet and tailgate – plus other weight saving measures – reduced the overall weight by more than 32kg over the 350Z. 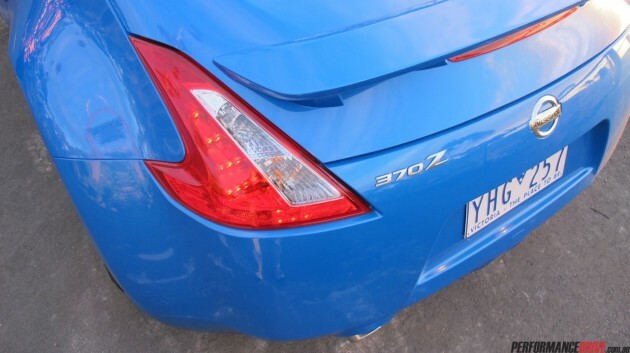 As far as profiles go, the 370Z has one of the more intimidating side views you’ll see on the road regardless of price. 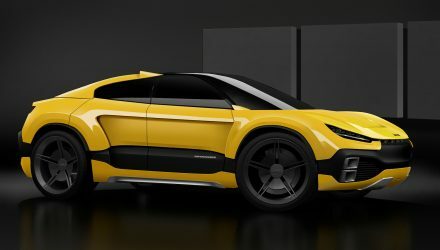 The bulbous rear end, pumped front guards, front lip spoiler, low swooping roof line, and suitably placed rear spoiler give off an indisputable intimidating stance. 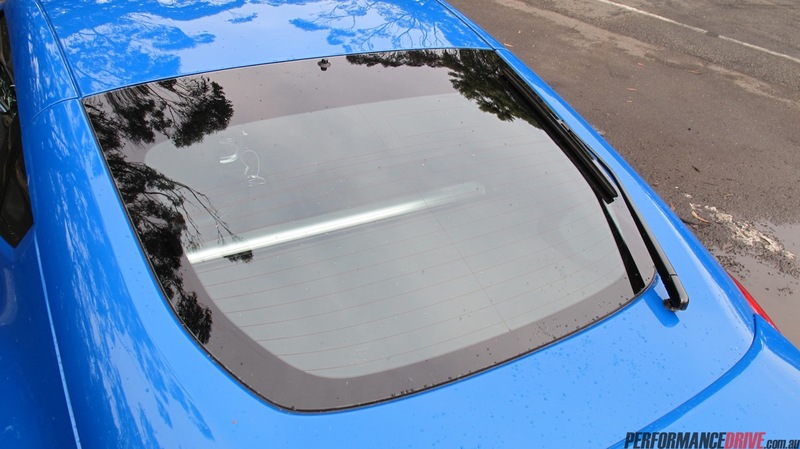 And the side window graphic smells of GT-R as well, don’t you think? 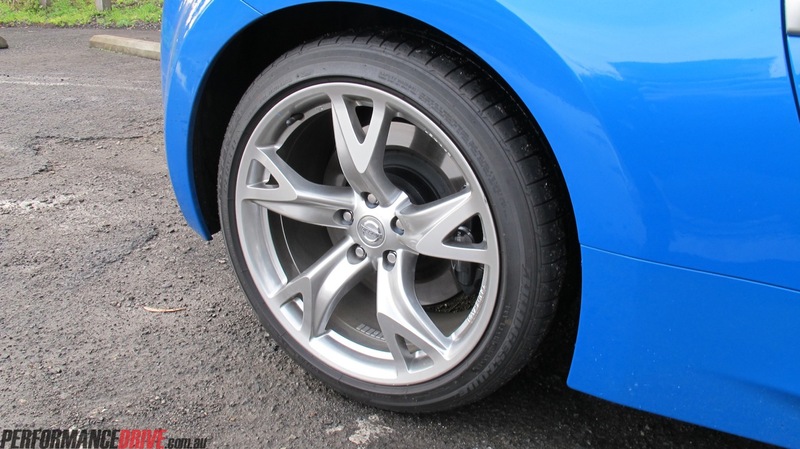 While many people nowadays love to fit up aftermarket wheels, the 2011 Nissan 370Z Coupe’s standard Rays forged aluminium (19 x 9-inch up front, and 19 x 10-inch on the rear) wheels are the icing on the cake. If you squat down at the back and take a good look, you’ll think you’re looking under an actual supercar. They’re that fat. Headlights are Xenon projector-style lamps. 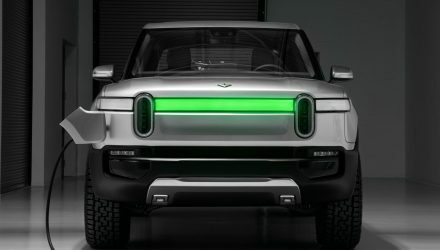 They give off good light projection in the city, however, if we’re to nit pick, the high beams could be a touch brighter and cover more breadth for back roads and highways. On our way up the Jamberoo Mountain (located in NSW) for our early morning photo shoot, we had the lights on high beam, and it just didn’t seem bright enough. 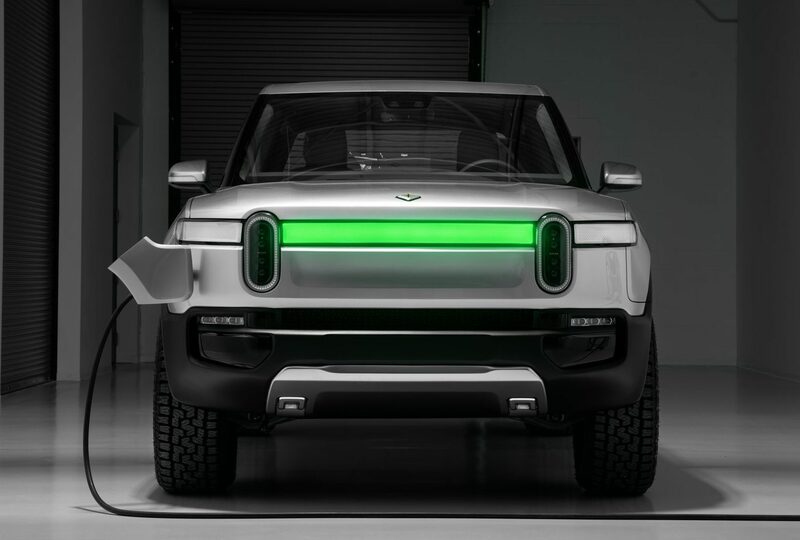 The rear LED taillights form a very modern boomerang shape, and blend in nicely with the rear end. 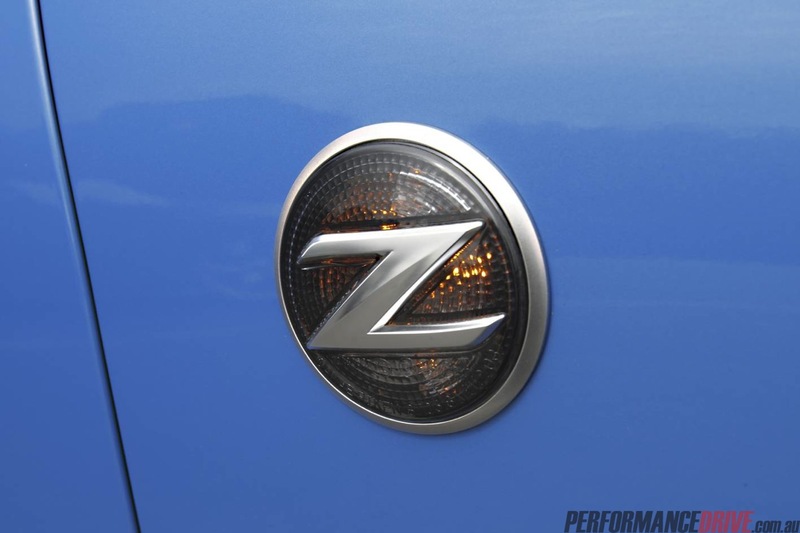 The Z badges on the front fenders aren’t just there for looks, either, with each badge functioning as a side indicator. Now there’s some creative thinking. 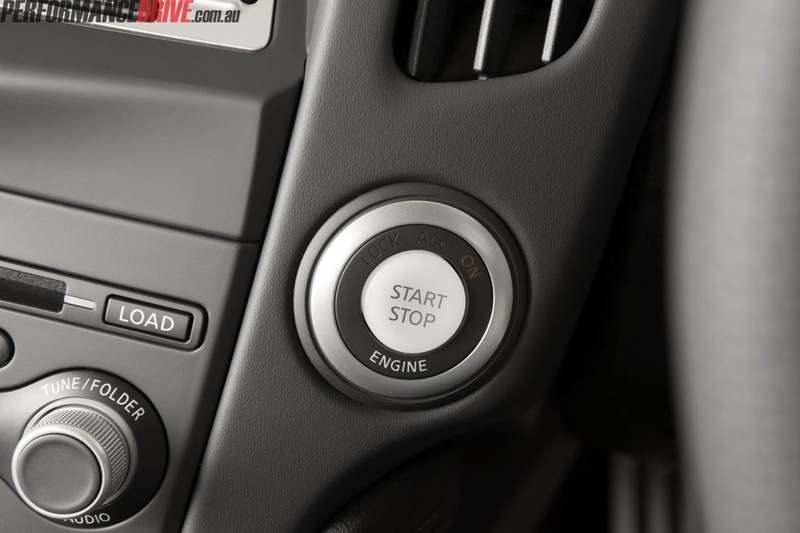 Nissan has fitted the 2011 Nissan 370Z Coupe with a push button start system (operable once the proximity key is detected, and your foot is on the brake). The steering wheel is height-adjustable only, with no option to change reach, which is a bit of a bummer. The leather-covered steering wheel feels natural in your hands, and features illuminated audio and telephone remote controls. Bluetooth mobile phone connectivity is standard in the 370Z. You can also operate the cruise control via the buttons located on the steering wheel – trust us, you’ll need them to save your licence. 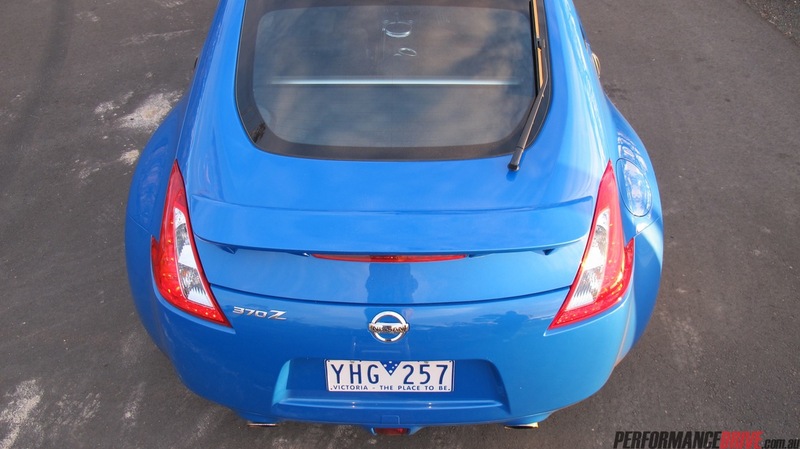 If you love a bit of music while you drive, the 2011 Nissan 370Z Coupe’s factory-fitted stereo packs quite a punch. 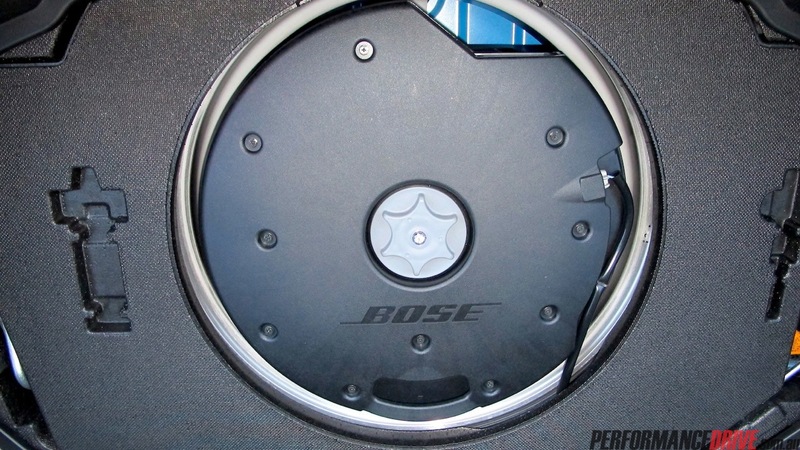 In the centre of the dash sits a Bose six-CD auto changer with AM/FM radio and MP3/WMA compatibility, using eight speakers, including two 115mm-Nd Richbass woofers in a custom-engineered 7.7-litre ported enclosure mounted in the spare wheel well (see gallery for a picture of the enclosure). In the centre armrest compartment you’ll find an auxiliary input jack for mobile music, USB for iPod connectivity, and a 12V power outlet. The driver’s seat really is a pleasant place to be. Once you sit down and shut the door, you feel nestled in like you’re in a cocoon, giving you driving confidence. However, if you’re tall or wide-at-the-hips you might struggle for waist and legroom – in other words, if you’re in the market for a Nissan 370Z, put down that slice of pizza, and grab a celery stick. The passenger seat, however, is wider than the driver’s to allow greater suppleness on long journeys. 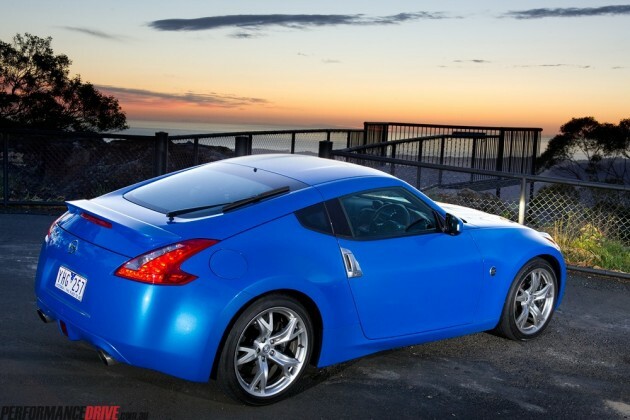 Forget rear seats in the 2011 Nissan 370Z Coupe, this is a two-only affair. 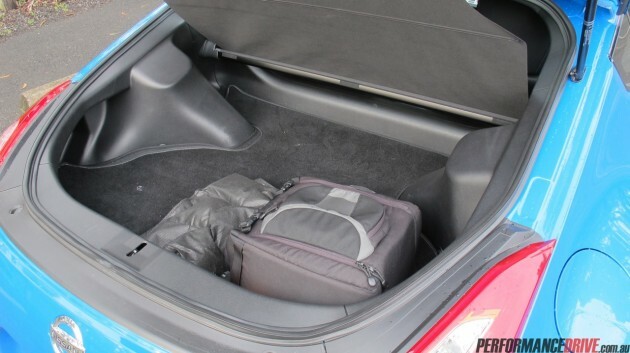 Luggage space has been enlarged over the Nissan 350Z thanks to extra structural reinforcements to the Nissan 370Z Coupe’s shell and rear sub-frame. 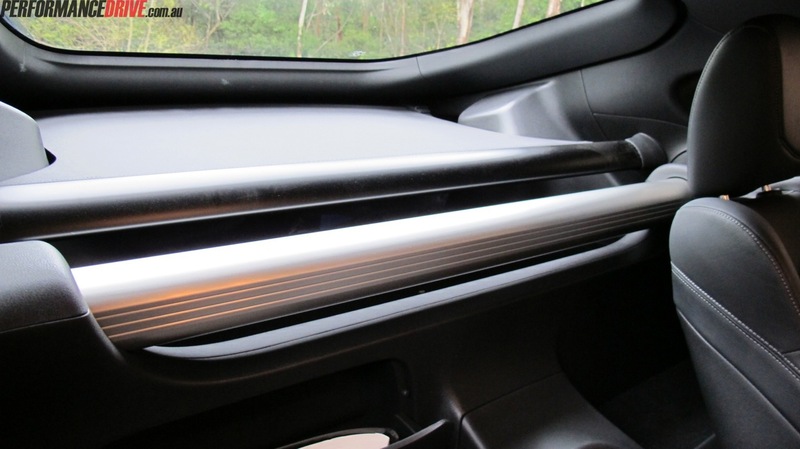 As we said, the rear strut brace is now gone, though, there is an aluminium luggage partition beam behind the seats. 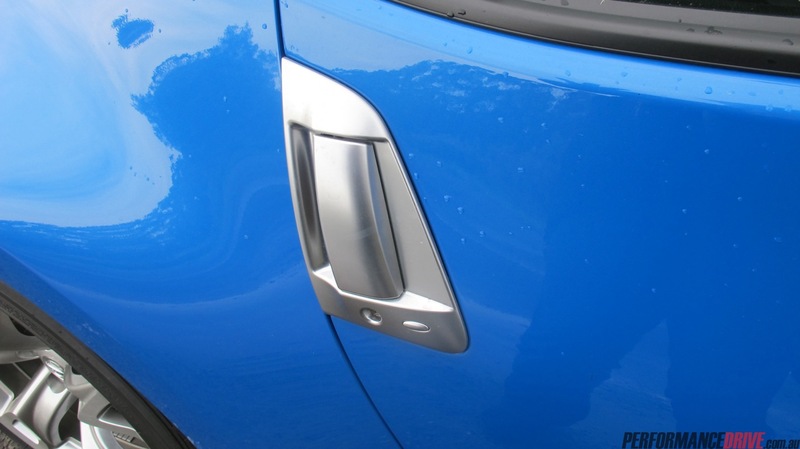 The beam is said to help stop luggage from moving forwards under heavy braking, while improving side-impact strength. 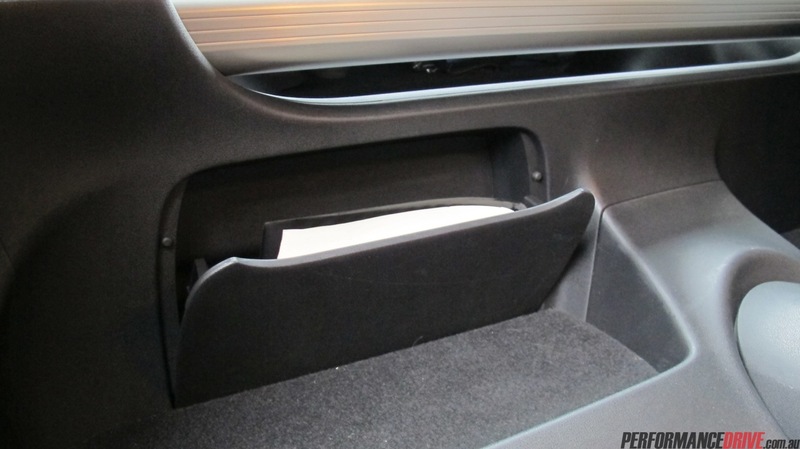 Behind the seats you’ll find two tiny areas for your luggage, and two flip-out plastic pockets, with one containing the driver’s manual. If you’re thirsty, one cup holder can be found in each door, and one in the centre… though we’re not sure how two people can drink three drinks? The centre console features audio controls down the bottom, ventilation controls in the middle, with controls for the DVD satellite navigation up top – just above that is the seven-inch colour display with touchscreen functionality. Given we get in and out of lots of different cars, the sat-nav built into the 2011 Nissan 370Z Coupe is one of the better systems out there; quick loading, with an easy to manage menu, and easy to see. 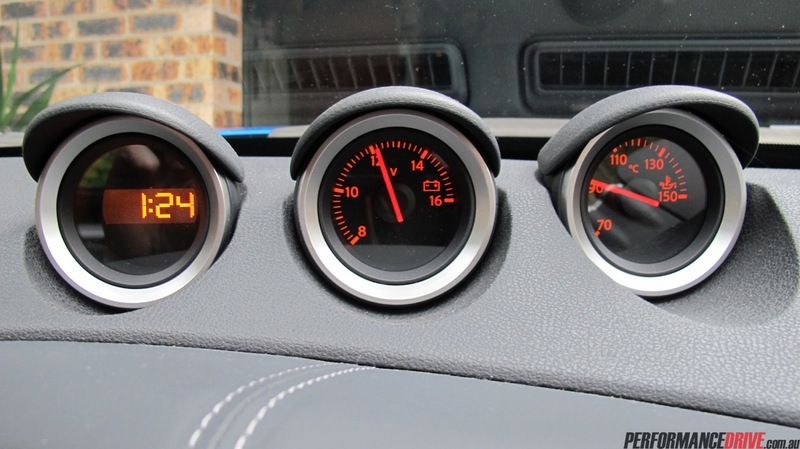 As with the 350Z the speedometre cluster is attached to the steering column. Forking out for a performance car is always something you research long and hard, because if you buy the right one, chances are it’ll give you great reason to wake up in the morning. 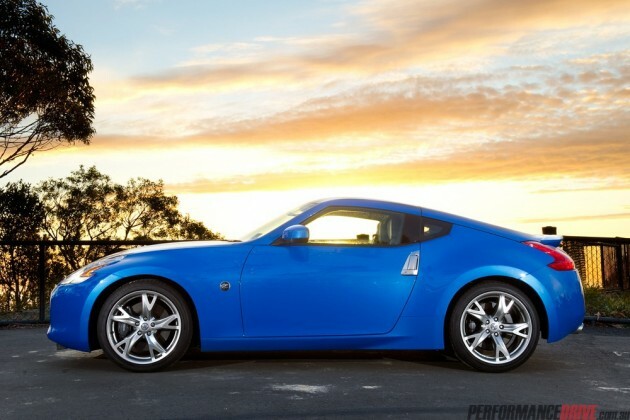 Our prediction is most Nissan 370Z owners will lease them. And for lease owners, you want something you’ll enjoy – or you’ll end up being stuck with a lemon for the lease period. 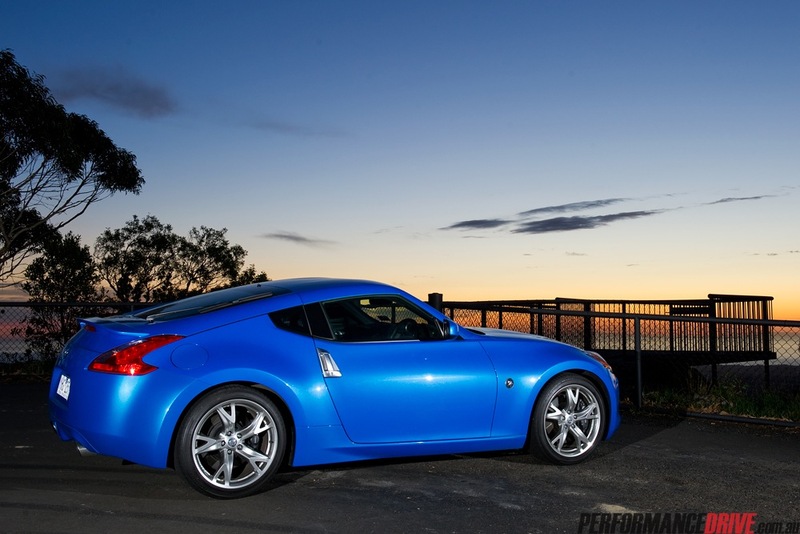 The 2011 Nissan 370Z Coupe is a great steer, and a real head-turner. It’s also a great potential future classic, and one that may be worth collecting in the years to come – so try and get a lease with a small residual, if you’re planning on that kind of purchase. While the Nissan 350Z had a somewhat ‘look at me’ vibe about it – probably because it was new on the scene, and very flash/futuristic-looking – the latest Nissan 370Z is pure class. Pure Z in fact. If we could convince Nissan to loan one to each and every car nut in the country for a week, we’re 100 per cent certain they’d sign up loads of 370Z contracts. Enough said? 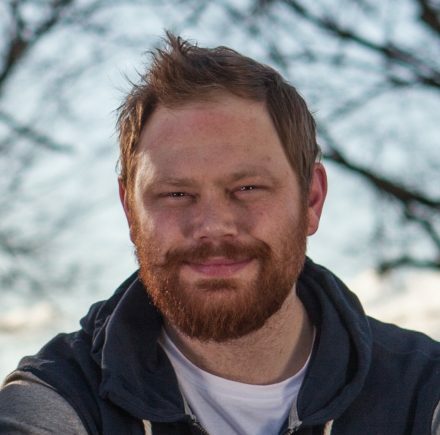 The old saying ‘if it ain’t broke, don’t fix it’ comes to mind with the new generation Z vehicles. 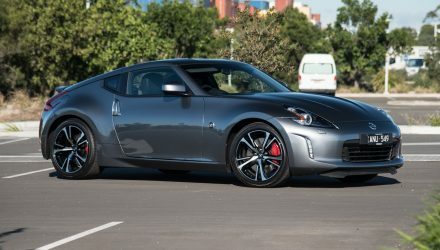 Rear wheel-drive, six-cylinder sports cars; even after almost 43 years since the first Z car was introduced, Nissan hasn’t changed the layout – not even with their latest 2011 Nissan 370Z Coupe. Back when the original Datsun 240Z (called the Fairlady Z in Japan) was penned, Nissan was a much smaller company – if you’re getting confused with the Datsun and Nissan references, Datsun is a subsidiary of Nissan, and the 240Z came under the Datsun brand. 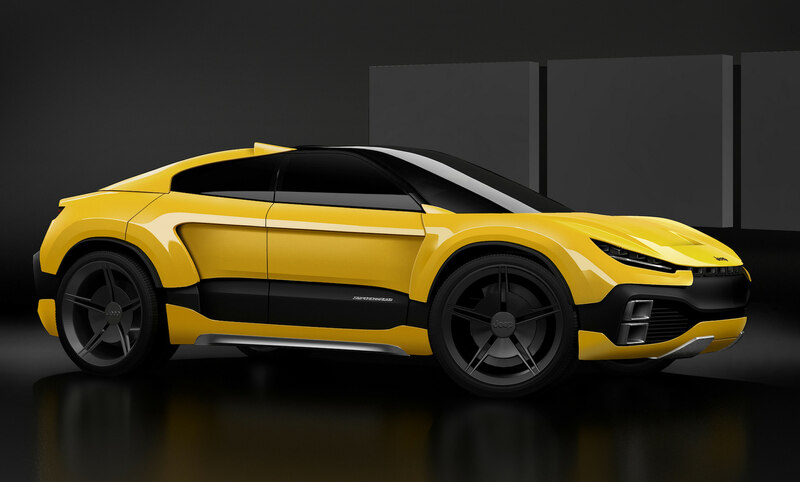 At the time, Nissan was looking for a halo model, one that would put the carmaker on the world map. Originally Nissan had partnered with Yamaha to build a new sports car prototype, however, these plans were scrapped due to the car not meeting Nissan’s expectations – Yamaha ended up collaborating with Toyota to produce the Toyota GT 2000. Eventually, after years of planning and testing, Nissan released the first Z car, the 1969 Datsun 240Z, equipped with a 2.0-litre (SOHC L20A), or a 2.4-litre (SOHC L24A) inline six-cylinder engine. The 2.0-litre L20A engine as far as we know was only available in Japan, with Australia and the USA receiving the 2.4-litre L24A variant only. For those who’re old enough to remember the early 1970’s, six-cylinder, rear wheel-drive cars such as the 1971 Holden Torana LJ GTR XU-1, and 1971 Chrysler VH Valiant Charger R/T were racing, and beating, bigger V8-engined muscle cars on the road, and track. Though many back then thought of the Datsun 240Z as just a ‘ricer’, its on-road and racetrack abilities were not to be taken lightly. Some 40 years later, this latest incarnation of the Z series is certainly making its Datsun 240Z great grandfather very proud indeed.